Golfing in the (Country Area) as you are having holiday in Phuket, Khaolak or Krabi, you may need to do the relaxing activities and golfing in the same period. 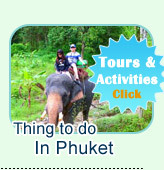 This country golf program offers do the real relax activities, 18 holes Golfing, Bamboo Rafting and Beach Jungle Walk. The following is the detail, the highlight pictures and program of the package, we recommend to study carefully before submit the booking. Bamboo Rafting along the beautiful nature canal is a great 2 hours time. Relaxing by swimming on the clear water some point, laying down on the raft and breeze the clean air of nature, say hello to the local people and take a good photo for high value experience. World Class Standard 18 Holes Golf Club - Golden Pan or Kathathong Golf Club. The location of this field is in the middle of nature safari. It is more fresh air and beautiful of environment. Relax on Golf Club Resort Room. To completed relaxing, the package includes the deluxe room of the resort in the golf club. Make you feel more relax staying amid the beautiful nature for one night. As well as, we includes the Spa Treatment. "We are sure that this is the highest value time of holiday"
10:30 AM: Arrival the Khaolak - Jungle Beach. We start to do the fun jungle walk. The walking route is between the nice safari and the sea. 12:00 PM: "Nice Thai Food Lunch Served" at the Country Restaurant. 13:00 PM: Bamboo Rafting, Nice relaxing on bamboo rafting along the Country Canal - beautiful nature safari both sides. 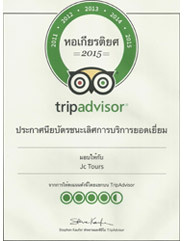 16:00 PM: Check In at "Kata Thong Golf Club Resort." The resort is beautiful in every area. 17:00 PM: "Spa Treatment (Oil Massage and Sauna.) Be best for Relaxing. 08:30 AM: Tee Off....18 Holes. 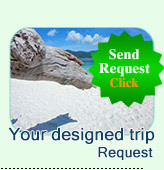 - Transfer back to Phuket. 16:00 PM: Arrival your hotel in Phuket. All activities: Bamboo Rafting, Jungle Walk and Tour Guide. All Meals - Lunch - Dinner - Breakfast - Lunch. Transfer, Pick up and Drop Off all places.